Buy Indeed Labs care products online at Boozyshop, the beauty webshop! In 2011 Indeed Labs launched the first skin cream specifically developed for flawless and photo-ready skin in just a few seconds. This was a game changing innovation. 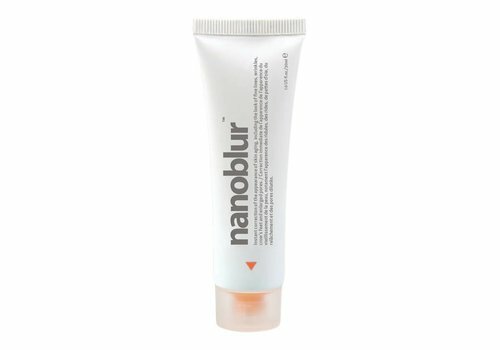 Nanoblur surpassed any industry standard by delivering a next generation solution to a real need of the times. A high-performing product, with quality ingredients, for an affordable price, that really works! What woman does not value a simple, accessible alternative to all the more complicated, more expensive products that do not even deliver what they say? Indeed Labs keeps its promise. And so revolutionary skin care was born! Indeed Laboratories is a Canadian-based company with worldwide distribution and remains committed to targeted, high-quality formulas that address specific problems with the maximum results. Indeed Labs believes that every skin need is unique and encourages every woman to find her own beauty. Give ultimate hydration to the skin. Are suitable for all skin types. When you take a look at our versatile range, you will see that we offer beautiful products at a competitive price. Moreover, there are many more advantages when you order make-up products in our webshop. Do you have a question, do you doubt or do you want to turn to professional advice? Please feel free to contact our Boozyshop live chat. This way we can provide you with appropriate advice so that you can find exactly the facial care products you were looking for. And this is not all! Is the order amount above 30 euros? Lucky you! You will receive a nice gift from us when ordering. Wait no longer and order here today at Boozyshop!